Kanbanize is lean process management software based on the principles of visualization and flow. We provide instant visibility into every corner of your company, ensure better team synchronization and performance, and report on the right metrics out of the box. It's a web based easy to understand and lightweight for browsers. Its colorfull and very usefull to work on SCRUM based on kanban. You can trace all the tasks and its quite easy to use and manage. Squares everywhere. This geometric form, in my opinion, its not nice at all to work because when you are working on a team and you have quite much tasks to perform, its not visible at all and it looks like old school. Maybe a rounded squares would be better. If you have a small team or you want to work with SCRUM based on Kanban this is the best solution for your project management. It's easy to configure, everybody knows faster how it works and the basic features are enough to have a traceability of the dedicated hours to each task. We are using this tool in order to organize the Scrum team tasks during sprint periods. With this tool we are able to track all the work performed by each person and we can see the progress of the current sprint. Hi Alex. Thank you for spending the time to write this review. We really appreciate the feedback. We are trying to improve the product on a regular basis, so we can meet users expectation and needs. Kind regards. Kanbanize team. "Complete project management using Kanban technology"
A convenient tool for managing tasks and projects, employees and functions of the joint interface. Kanbanize allows you to balance the work processes, keep time management and assess the staff. And also create several permissions, establishing a hierarchy within all communication. Plus, you can print and export data to Excel, even create graphs and charts for analysis. Contains well-developed functionality for analytics. There are a number of other features, such as setting privileges and user roles, custom fields, integration with Email, mobile application, task statuses and much more. Integration with the Jira, Github, Gitlab. The possibility of assessing the status of the project and management of sprints. In my opinion this is a very good handy tool, but this program is only for use on large projects. On medium and small projects you will not need all the functionality. The pricing policy is monotonous, there is a test period and only one tariff plan, not quite cheap. Free tariff is not provided. The possibility of assessing the participants' engagement, forecasting, tracking progress, estimating and recording costs, and delegating tasks has not been developed. I recommend to automate workflows in a large project. Sharing documents among workgroups and integrating with version control systems. Visual project management, notification of any changes in the project. Hi Vasyl. Thank you for this review. We appreciate the feedback. We really do our best to improve the user experience. Glad to hear that the product help you to balance work processes. Kind regards. Kanbanize team. 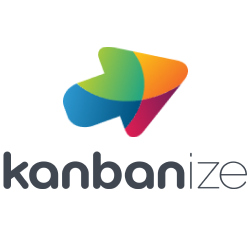 "Kanban - Great tool for tracking"
Kanabize is a very powerfull tool that we already use since 2014/2015 So we saw this tool developing and becoming a great software for project management. The base possibility to illustrate and manage a process in a lean-way was always there but beside there now are a lot of options using alerts, business rules, visualizations and also an improved user management. Product Mix or Demand Changes May Cause Problems. Advantages are that you can simply start by putting it on top of your existing process by visualizing what you do currently, make problems area more visible, and then limit your work in progress (WIP) at certain points in your process to better optimize the flow of work through your current system. 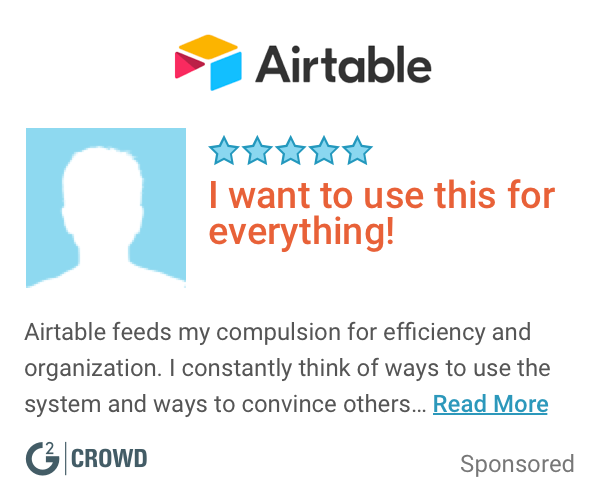 Thanks for your review! We appreciate your feedback. Happy to hear that we can support your project management. "Great way for different departments to keep track of bugs & issues"
It can sometimes be difficult to track where cards are since you can have so many rows and columns. A better tracking system and maybe a way to "nudge" a card to be completed would be helpful on my end. Also, the inability for Kanbanize to integrate with some of our other software like Asana makes it difficult to streamline our support. Definitely figure out a system with whoever else uses it to try and make it as seamless for all parties involved, especially if different departments and roles are using it for different things. My department uses it to put in support tickets and problems that our customers are facing so that our development team can fix them and we keep our customers happy. I have realized that it can be hard to manage all of the cards that we are putting in and it is difficult for them to go through them quickly. Hi Alexandra. Thank you for this review and thank you for your time. We really appreciate the feedback. Happy to hear that we help your software development team to track work. We are constantly trying to improve the product so that we can satisfy our users and their needs. Kind regards. Kanbanize team. "Great Tool with many possibilities"
The base possibility to illustrate and manage a process in a lean-way was always there but beside there now are a lot of options using alerts, business rules, visualisations and also an improved user management. By the time the former free software became more and more expensive. We manage nearly all internal business processes with kanbanize. We also use it with certain service providers and agencys. Hi Ronny. Thank you for spending the time to write this review. We really appreciate the feedback. We are trying to improve the product on a regular basis, so we can meet users expectation and needs. We are glad to hear that your like the options of using alerts, business rules, visualizations. Kind regards. Kanbanize team. "Right Balance of Flexibility and Structure"
I've been using Kanbanize for the last 4 months with my team. Kanbanize has truly done their homework and struck the right balance between providing a great amount of flexibility while maintaining the ability to pull reports of just about any type you can imagine. Favorite features include creating my own card templates and customizable fields. The lack of ability to customize existing analytic reports by adding fields. If you're looking for something other than an outdated spreadsheet or other variations thereof, try Kanbanize. Their technical support is amazing and they walk you through every aspect. Their free trial is also quite generous. I manage research projects and it's difficult to accurately resource our team. Logging project time is very easy with Kanbanize. The wide variety of reports is certainly one benefit, but again, the primary benefit is the level of flexibility. Hi Erica. Thank you for the good words. We really appreciate the feedback. Glad to hear that you can benefit from detailed reports. "A workflow software that is still developing"
Kanbanize is working on making the product better. They release updates all the time but they still have a lot of kinks that need to be worked out. Workflow and knowing when certain tasks are completed. This does help everyone see where the task is in the life cycle. Thank you for spending the time to write this review. The team is glad to hear that your experience with Kanbanize is positive. Your feedback is important to us, because we want to improve the product constantly and meet our users' needs. Kind regards. Kanbanize team. "Easy to use project management boards"
It can be confusing to use at first, but there are plenty of tutorials. Finding a way to better organize and manage projects, especially when many teams are involved. Hi Ashley. Thank you for spending the time to write this review. Glad to hear that we can help you manage various projects at once and follow the progress. We are constantly trying to improve the product, so we really appreciate your feedback. Kind regards. Kanbanize team. "Team Organization A Great Benefit"
Don’t be intimated by the Kanban style. It takes a minute to get used to! Kanbanize has helped our team communicate with the number and variety of projects with mid and upper level management. Thanks for the feedback. We appreciate it. Happy to hear that it helps you stay organized. "Getting used to it "
I enjoy the ability for many users to monitor the project and the demo that the software provides you with immediately once you join. The monitor option promotes transparency in tasks and progress which is imperative within a start uo company. How can we improve user trainings to make them more concise and effective? Thanks for your review! We appreciate your feedback and your endorsement. * We monitor all Kanbanize reviews to prevent fraudulent reviews and keep review quality high. We do not post reviews by company employees or direct competitors. Validated reviews require the user to submit a screenshot of the product containing their user ID, in order to verify a user is an actual user of the product. Hi there! Are you looking to implement a solution like Kanbanize?